NORTHFIELD, Minn. – Recent Carleton College graduate and three-time national runner up Donson Cook-Gallardo ’18 (Moscow, Idaho) received one of the NCAA’s top honors as he was awarded a NCAA Postgraduate Scholarship. He is one of 58 scholarship winners nationwide to receive the $7,500 award, with 29 male and 29 female student-athletes from a spring sport each securing a grant for post-graduate studies. 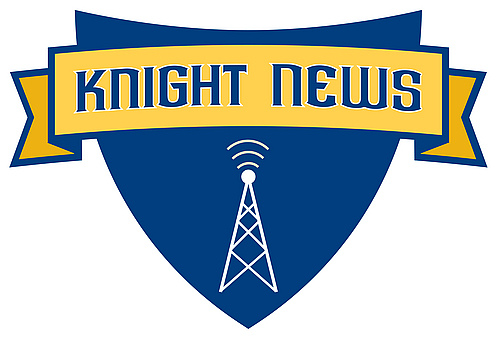 Cook-Gallardo, a seven-time All-American in cross country and track and field, becomes the 34th Knight to receive this prestigious award, with 20 of those coming since 2000 (SEE CHART AT BOTTOM OF RELEASE). He is the seventh member of the men’s cross country and/or track and field programs to be recognized. The NCAA awarded the one-time, non-renewable grants to the 58 student-athletes in all three NCAA divisions who participated in spring sports this academic year. These sports include: baseball, men’s and women’s golf, men’s and women’s lacrosse, women’s rowing, women’s sand volleyball, softball, men’s and women’s tennis, men’s and women’s outdoor track & field, men’s volleyball, and women’s water polo. Of the 29 male recipients this year from spring sports, only nine attended Division III institutions. Cook-Gallardo graduated with a 3.48 cumulative GPA as a biology major and is attending medical school at the University of Miami (Fla.). In addition to his All-America awards, he was a 12-time Minnesota Intercollegiate Athletic Conference champion (MIAC). As a senior, Cook-Gallardo totaled three All-America awards and won four MIAC individual titles. He won the MIAC Cross Country Championships in the fall and paced the Knights to a 10th-place finish at the 2017 NCAA Championships. Individually, he placed 15th in the 280-racer field. In February, he won the mile run at the MIAC indoor meet then placed third in the same event at the 2018 NCAA Indoor Track and Field Championships. During the outdoor season, Cook-Gallardo became the first conference male in 21 years to pull off victories in both the 800 and 1500-meter runs at same the MIAC Outdoor Championships. Two weeks later, he was the national runner-up in the 800-meter run at the 2018 NCAA Outdoor Track and Field Championships. That performance came one year after taking second place in both the 800 and 1500-meter races at the NCAA Outdoor Track and Field Championships. The NCAA awards up to 174 postgraduate scholarships annually—87 for men and 87 for women—with one third of those for each the fall, winter, and spring sports seasons. The scholarships are awarded to student-athletes who excel academically and athletically and who are in their final year of intercollegiate athletics competition. The grants can be used for part-time or full-time postgraduate study at a university or professional school. He is one of three MIAC student-athlete to earn the NCAA postgraduate honor for the spring sports this year, joining Gustavus Adolphus men’s tennis player Gabe Steinwand and St. Catherine University softball player Kylie Macziewski. 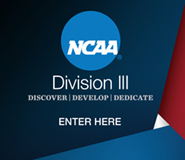 The NCAA Postgraduate Scholarship was created in 1964 to promote and encourage postgraduate education by rewarding the Association's most accomplished student-athletes through their participation in NCAA championship and/or emerging sports. Athletics and academic achievements, as well as campus involvement, community service, volunteer activities and demonstrated leadership, are evaluated. An equitable approach is employed in reviewing each applicant's nomination form to provide opportunity to all student-athlete nominees to receive the postgraduate award, regardless of sport, division, gender or race. In maintaining the highest broad-based standards in the selection process, the program aims to reward those individuals whose dedication and effort are reflective of those characteristics necessary to succeed and thrive through postgraduate study in an accredited graduate degree program.